Is Resistance Training Dangerous for children? “NO” – When Excellent technique is used, Children are supervised by qualified professionals and loading is correctly applied through proper progression. “Resistance training is safe for a child under the right conditions”. Damages the Growth Plates and Stunts their growth. This is actually a personal decision by a parent which we respect. If an academy players parent does not want their child to participate in resistance training, we do not go against their wishes. Our gym sessions are voluntary for children 10 and up and we do not force attendance, it is the parent and child’s choice to attend. 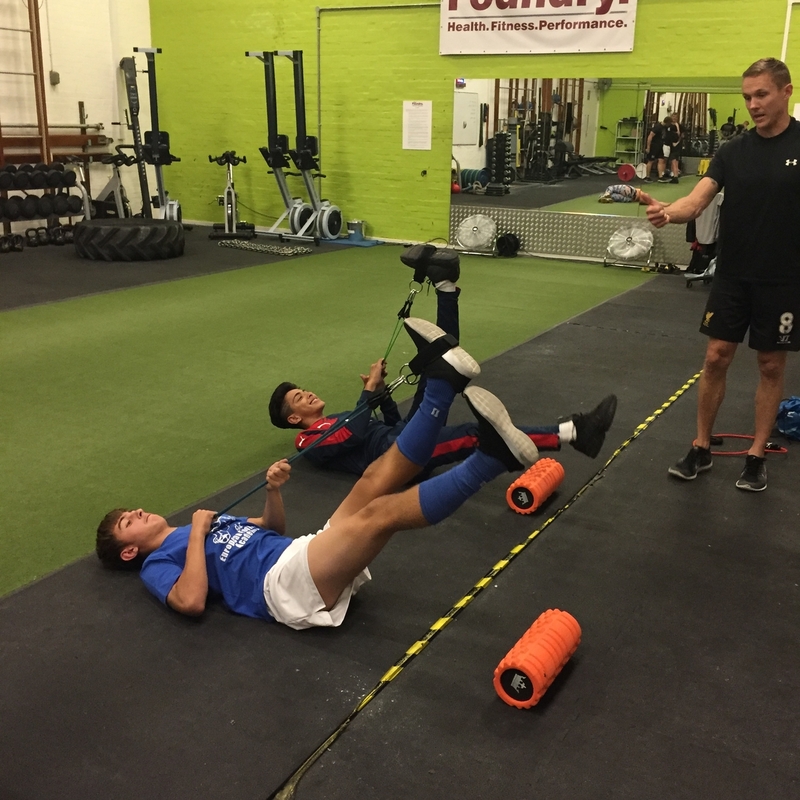 At Academy football trainings we do utilise a number of injury prevention exercises in warm ups which provide a basic level of training to try and help prevent injuries the best we can. Although this does not take the place of an actual resistance program it at least gives your child a very basic exposure to some exercises that will provide some help. Often if there is apprehension about starting this type of training so as head of Physical Preparation I point parents in the direction of the benefits that have been shown in the literature. (1,5,9,11,13,14,15). Up to 50% of injuries in youths could have been avoided if a program contained a resistance training component. 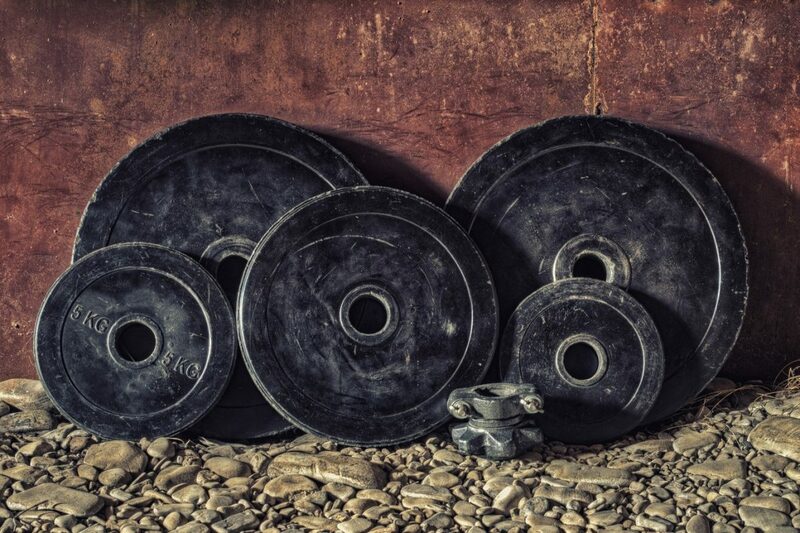 There is also a stigma attached to resistance training for parents that brings visions of lifting heavy weights and lots of angry men screaming and yelling as the sweat it out under a barbell. While that may occur in some places, this isn’t what all training is about. One very important key to understanding resistance training is that it can take many forms and methods. Take for example these six. For a child these are all options of different types of resistance that can be used, for many kids their first years of training will involve nothing more than body weight, bands and medicine balls. 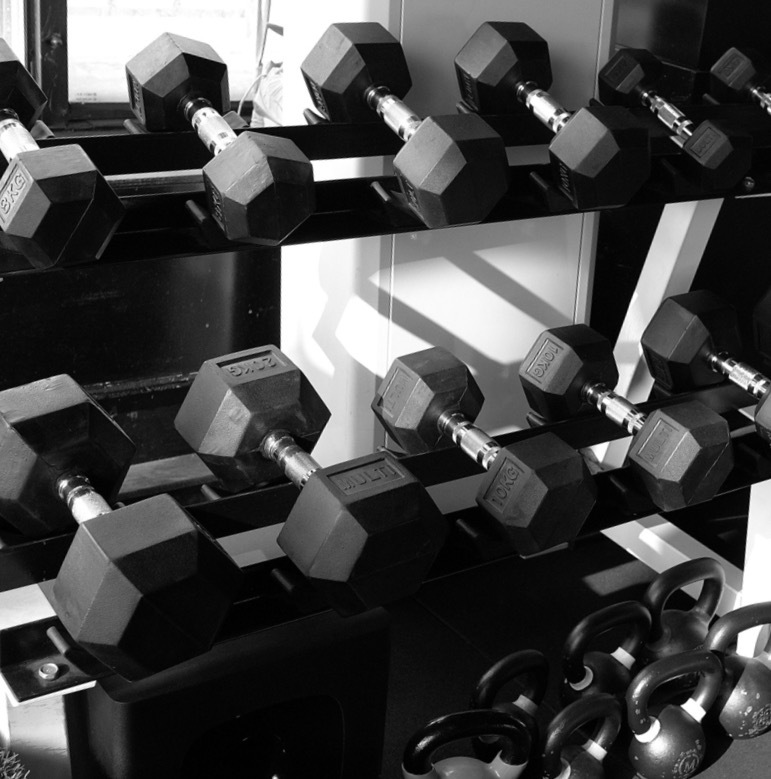 The beauty of the gym sessions is it is monitored and only when a child has earned the right through correct technique and progressions can they try something more challenging with our coaches. This is one of the most important factors as I mentioned previously in the article to avoid injury. 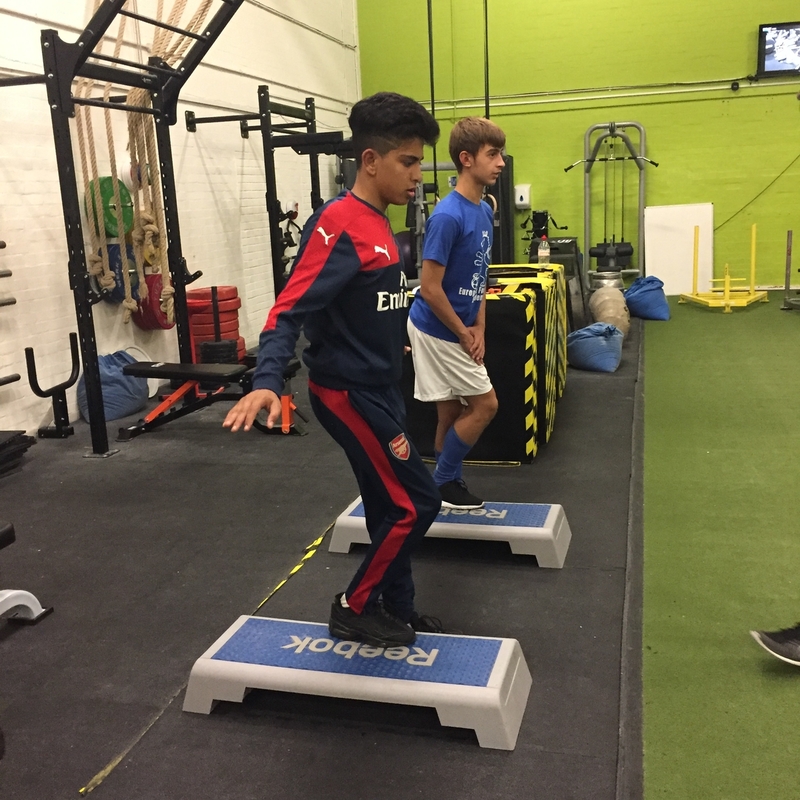 At the Academy we utilise the FMS system to help us to identify potential weaknesses in a child’s movement and subsequently design the program around addressing these weaknesses so they can move better. Although we currently only screen children 10 years and older. We have informed our coaches of certain bodyweight exercises that can be used as part of a warm up that will be of benefit to all our players including those under 10 years of age. These exercises have come about from the screening we have carried out so far, and are common issues that pop up amongst our older players. We hope that by addressing these issues early on with basic exercises to combat this, when a child does get to 10 years old and we put them through the screen they will achieve better results and be in a better position physically. To sum up, it is always a personal decision of whether you want your child to participate in a resistance training program, there are many positive aspects to it but also potential for risk if the program and the child isn’t managed well. We pride ourselves on the way we work with our kids in the gym. Qualified coaches take the time to look at our players individually who are involved, teaching and correcting technique, making sure they earn the right to progress in the correct way, and focus on them improving their abilities. Behringer, M., vom Heede, A., Yue, Z., & Mester, J. (2010). Effects of resistance training in children and adolescents: a meta-analysis. Pediatrics, peds-2010. Faigenbaum, A. D., Ferrell, A., Fabiano, M., Radler, T., Naclerio, F., Ratamess, N. A., … & Myer, G. D. (2011). Effects of integrative neuromuscular training on fitness performance in children. Pediatric exercise science, 23(4), 573. Myer, G. D., Faigenbaum, A. D., Chu, D. A., Falkel, J., Ford, K. R., Best, T. M., & Hewett, T. E. (2011). Integrative training for children and adolescents: techniques and practices for reducing sports-related injuries and enhancing athletic performance. The Physician and sportsmedicine, 39(1), 74-84. Myer, G. D., Ford, K. R., PALUMBO, O. P., & Hewett, T. E. (2005). Neuromuscular training improves performance and lower-extremity biomechanics in female athletes. The Journal of Strength & Conditioning Research, 19(1), 51-60. Valovich McLeod, T. C., Decoster, L. C., Loud, K. J., Micheli, L. J., Parker, J. T., Sandrey, M. A., & White, C. (2011). National Athletic Trainers’ Association position statement: prevention of pediatric overuse injuries. Journal of athletic training, 46(2), 206-220.